you should be HAPPY - that is one gorgeous card!! this is going on my pinterest board!! It's beautiful! I love the ink splatters in the background and the heart is gorgeous. YES!! Stampning is fun:)) don't through anything away...it might be useful later, somehow. Wow, this is so pretty! Love the ink splatters contained to the masked off area! How smart! So, so pretty! 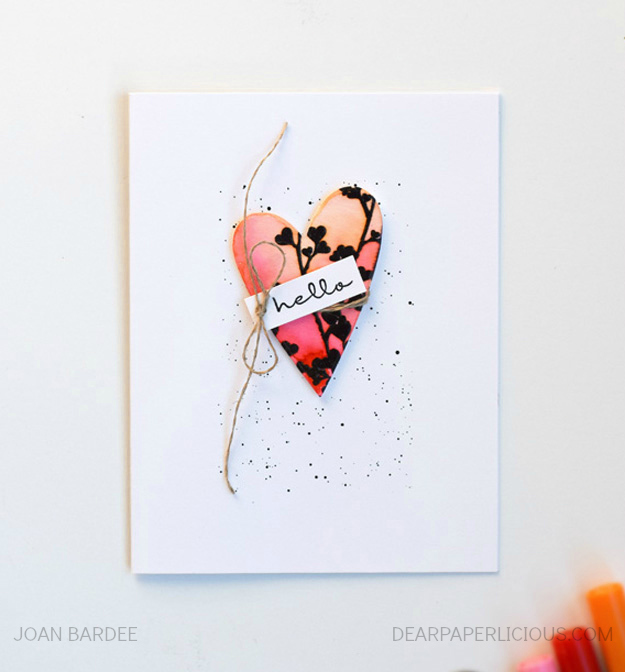 Love everything about the card - the little heart, the flowers, the colors, and of course, the ink splatters! Masking it off is such genius! Oh, it came together, alright! It came together beautifully! You sure have a motive to be happy... this card is absolutely amazing, just like Julie's card, although yours stand out by itself! LOVE! Very nice! 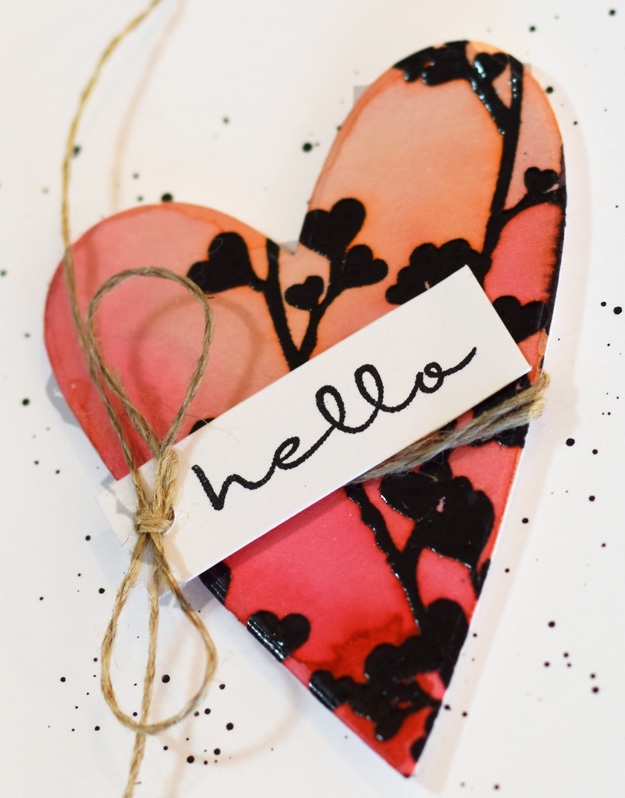 Gorgeous heart, and I love the dimension of the clear emboss! Gorgeous designing Joan! Love it!